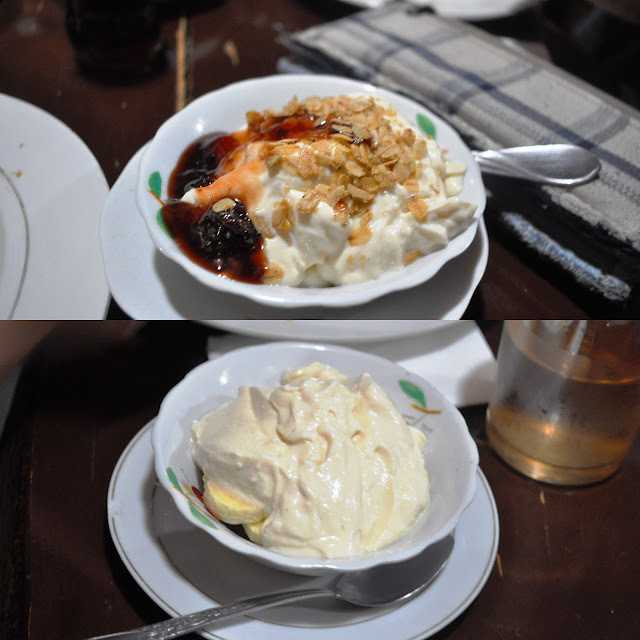 When in Sagada it is recommended to try Yoghurt House. The restaurant is famous because of their authentic yogurt. But aside from that they also have breakfast meals, rice meals, pasta and so forth to indulge to. We had our dinner at the restaurant on our first night. The restaurant is not new to me as I already tried it before. As far as I remember the first meal I’ve tasted was the cheesy pasta, chicken and rice meal. I only wanted to try something good and affordable, so I ordered Fried rice with Vegetable and Meat. The meal is good for sharing so I have it shared with Heiz. They also have Fried rice with vegetable and Tuna. There’s nothing spectacular on the dish. It’s just fried rice mixed with sauteed vegetables then meat. It was good but I don’t like how the meat was cooked. The Fried rice with Vegetable and Tuna looks more pleasing. They also have Chicken Curry which is spicy. 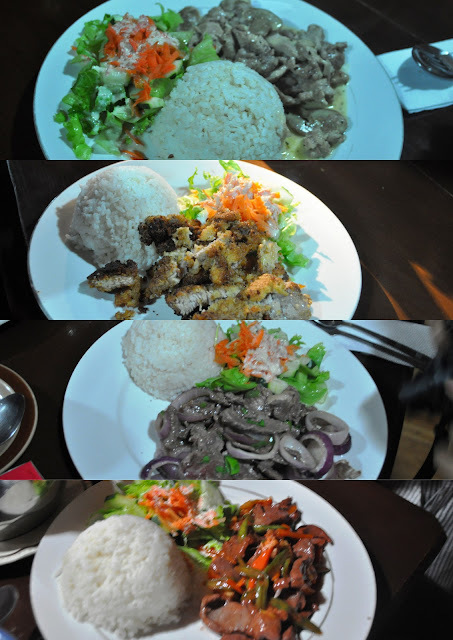 Aside from those, they also serve pork, chicken and beef meals. I forgot the name of the dishes but they look appetizing. I haven’t tasted any of it since I’m too shy to ask for a bite. And of course we had yogurt after meal courtesy of Robbie as his birthday treat to us. I ordered the Banana, Granola, Strawberry Preserves Yogurt so I can taste 3 flavors in one. It was still the same yogurt. I liked the strawberry preserves among the three flavors. But all in all, the combination was perfect. Thanks Robbie for the sweet treat! It was another feel good dine in experience at Yoghurt House. Next time I get to Sagada, I’ll try their breakfast meal. The breakfast menu looks inviting. @Gladys | ByahengBarok.com, must-try talaga ang yoghurt house! @Ed, a bit expensive nga mga meal dito. gusto ko itry ung breakfast next time. aba at sumasagada kayo ni maricar huh! hmm… im not a fan of yogurts pero must try talaga to! @Supertikoy, gusto ko itry ung breakfast naman. @Robbie, Yan din ba ung cheesy pasta? @Malditang "Kura"cha, ako din di ko sya naubos dahil naasiman na ako sa huli. Pero gusto ko pa din sya. Hindi ko talaga nagustuhan ang yoghurt nila. Just like the usual reklamo "Maasim siya.." ^_^ Nestle yoghurt pa rin. hahaha! Wala atang nakaubos samin dati ni isa. Jerom: Baked chicken with pasta! Hehehe. 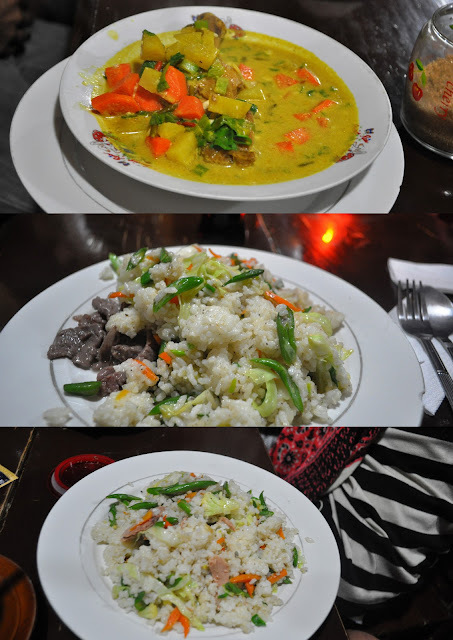 gusto ko yung kinain nila robbie at ivan nung last dinner sarap!!! waahh.. gusto ko din ulit ng yoghurt.